Below you will find dates for our Full Canyon Classic Adventures in 2018 & 2019. You can search by month and number of spaces you need. 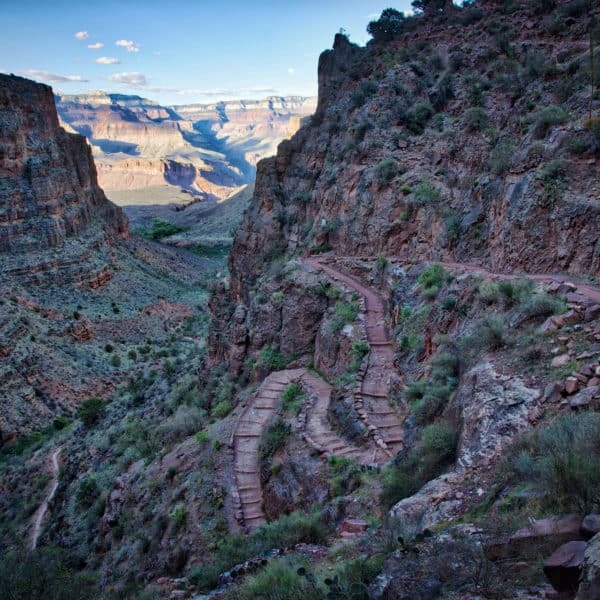 The lower Grand Canyon Classic Adventure requires a beautiful, yet strenuous hike in on the Bright Angel Trail on the first day of the trip. Be prepared to carry anywhere between 15-25 pounds (6.8-11.3 kg) of your personal gear out of the Canyon with you, as well as 3 quarts of water (weighing approximately 6 pounds or 2.7 kg). 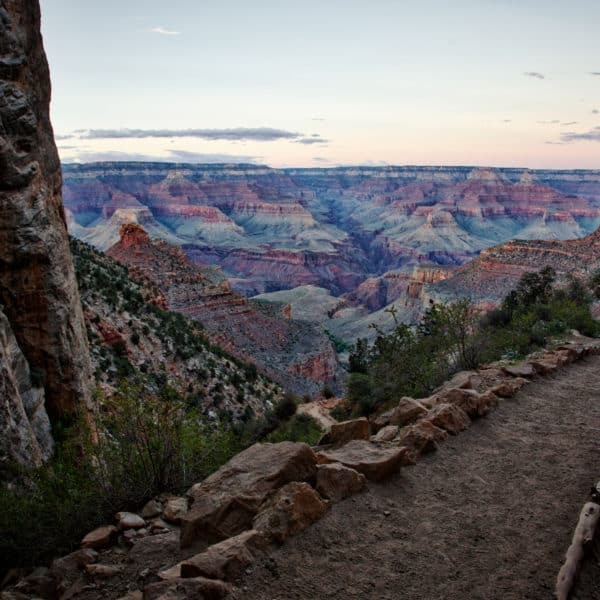 Although hiking time varies per person, the average hiker makes it down the Bright Angel Trail in 4-6 hours. The mule duffel service may be an option, but your duffel must be dropped off by 3 PM the day before your hike in. If you decide to use this service, you will still need to hike in with all irreplaceable items, as well as your water and snacks. Whether you use the mule duffel service or not, you should be physically able to carry your gear in. If you plan to use the mule duffel service, reserve it early. 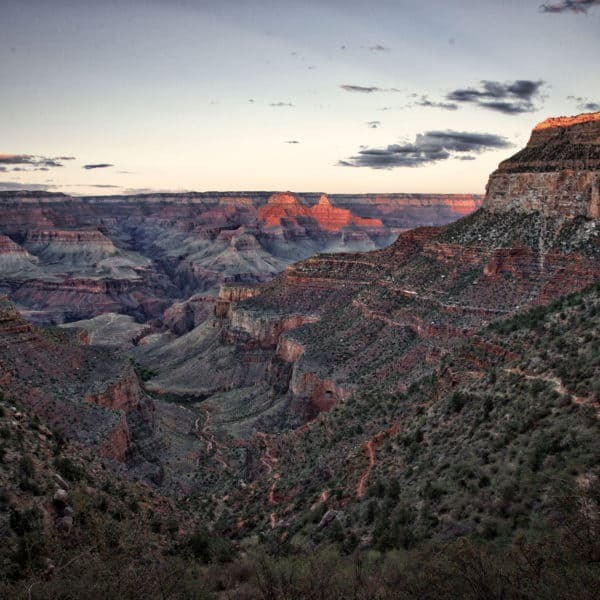 Join us for our 7 PM orientation meeting the evening before your lower Grand Canyon rafting adventure begins at the Maswik Lodge at the South Rim of Grand Canyon. You’ll meet your fellow rafters and go over details such as packing your dry bags (which will be at the river), what to expect for the hike and how to pack and fit your hiking pack. This orientation does not cover many river life topics because there are more orientations while on the river to explain what river life is like! 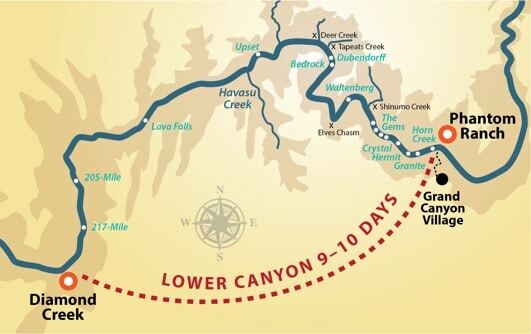 There are many travel options for getting to and from your lower Grand Canyon rafting adventure. The below options have worked best for our rafters. If you would like a Grand Canyon rafting trip that offers a variety in types of boats, this is the ideal adventure for you! This is a great option for those that would like to both paddle and sit back and relax in the oar boats. The Classic Adventure is also an ideal choice for guests of different abilities and interests, keeping in mind that 9-10 days in the backcountry environment will take its toll on everyone. With a minimum age of 12, this is a fun family expedition unlike any other, where families spend quality time together, unplugged from the outside world. We often get asked what the best time of year to raft the Grand Canyon is, and our answer is always, “it depends on what type of weather you prefer!” You’re going to get different weather every month. Some months are more variable weather-wise, whereas others are more reliable. Below is a general guideline as to what type of weather to expect each month in Grand Canyon. October: Average high is in the 80s (26-29 C), with an average low in the mid-50s (10s C). Rain and wind is unlikely. Expect shorter daylight hours. hours. Most amazing vacation I have ever been on. Great guides who know it all!